The Canada Philippines Solidarity for Human Rights supports the political prisoners who are on protest fast and hunger strike in the Philippines. Philippine political prisoners through their nationally coordinated week-long fast and hunger strike declare what is wrong with the state of the nation and call out for the release of all political prisoners. Since July 16, prisoners in at least 11 detention centres and jails across the country are drawing national and international attention not just for themselves but for all the 385 political prisoners with their demand for immediate and unconditional release. Of these political prisoners, 36 are women, 12 are elderly and 43 are sick. 107 of them were arrested under the Aquino government. Many of those arrested were without warrants and charged with criminal instead of political cases. Thirteen (13) NDFP consultants in the peace negotiations remain in jail despite the Aquino government’s commitment to work on their release. These men and women political prisoners are the living evidences of political repression in spite of the government statement that they do not exist. 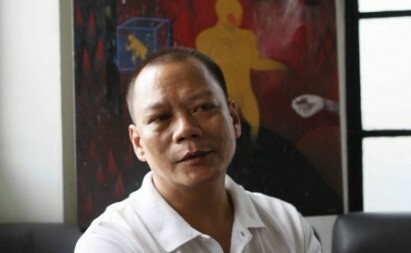 The political prisoners who are currently on hunger strike and fast are those at the Medium and Maximum Security in New Bilibid Prisons, Male and female dorm of Special Intensive Care Area at Camp Bagong Diwa, Metro Manila District Jail (Cuerna), Camp Lapu-lapu Central Command in Cebu, Victorias City Jail in Negros Occidental, Iloilo Provincial Integrated Jail (IPIL), Calbayog Jail, Misamis Oriental Provincial Jail, and Isabela Provincial Jail. Families, human rights advocates and supporters, to show their solidarity, have also gone on solidarity fast and picketed the military camps. At the Compostela Valley Provincial Rehabilitation Center, 500 inmates have joined the hunger strike in sympathy with the political prisoners in Tagum City, Davao del Norte. We continue to be inspired with the strong determination and commitment of the political prisoners to assert their just demands. To protest when one is already in prison is to affirm the moral position that the arrest and continued detention is unjust and hence, to struggle for freedom is morally right and just. Iron bars do not a prison make. As workers, peasants and urban poor and other sectors march on the streets today and meet up with other people’s organizations from Southern Tagalog and Central Luzon on Commonwealth Avenue to hold the people’s State of the Nation (SONA), they are joined by political prisoners whose voices and calls for freedom are carried out beyond the prison walls. 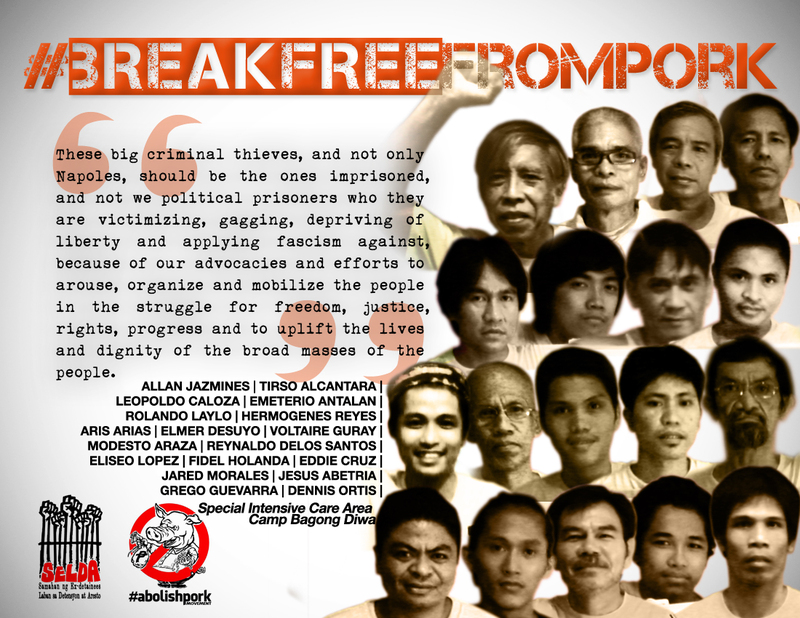 We will continue to demand the release of political prisoners in the Philippines.